Home HASP industrial hygiene Meteor Crater Monsoon spiders Spiders! ZOMG. I love Arizona - I have lived here my whole life (except for a five-year stint in Mission Viejo, California). I especially love rainstorms. 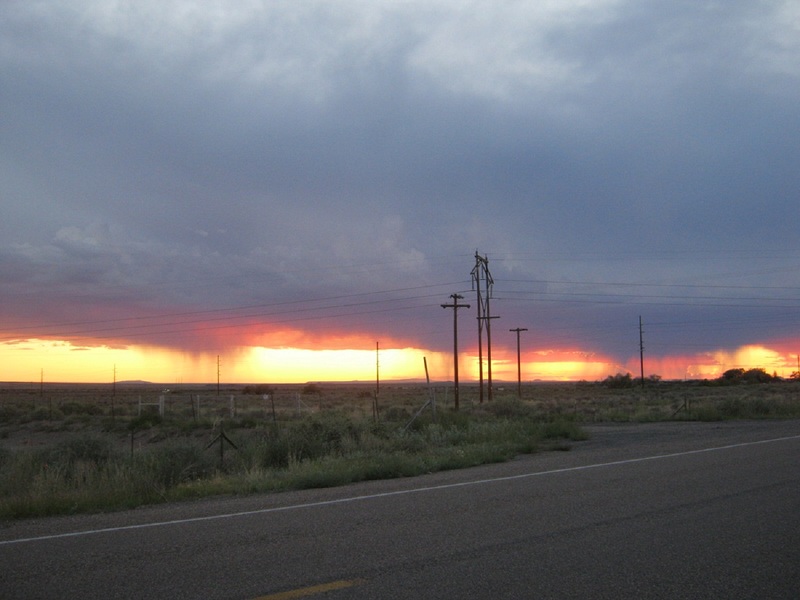 Up by Meteor Crater along the I-40, in the northeastern part of the state, you can experience some spectacular storms. This year's Monsoon was pathetic, and I am still hopeful for some good winter rains down in Phoenix. But while I was driving back to my hotel in Holbrook, I pulled off to the side of the road to get this shot. It didn't quite capture the amazing way the sheets of rain colored the sky with every shade of the rainbow, or how ominous the thunderclouds were, and how still the high desert was. We even got some quality hail during that storm. 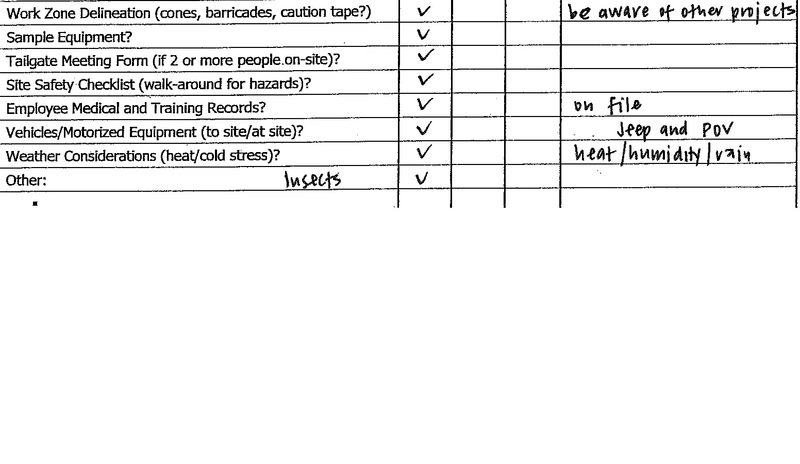 I arrived at the Site the next day to do some asbestos sampling of a two-level roof on a control room building. My co-worker and I had been up there just before the storm started rolling in the night before, and there were NO spiders anywhere to be seen. We were warned to keep an eye out, but we didn't see any webs or creepy-crawlies on either roof. 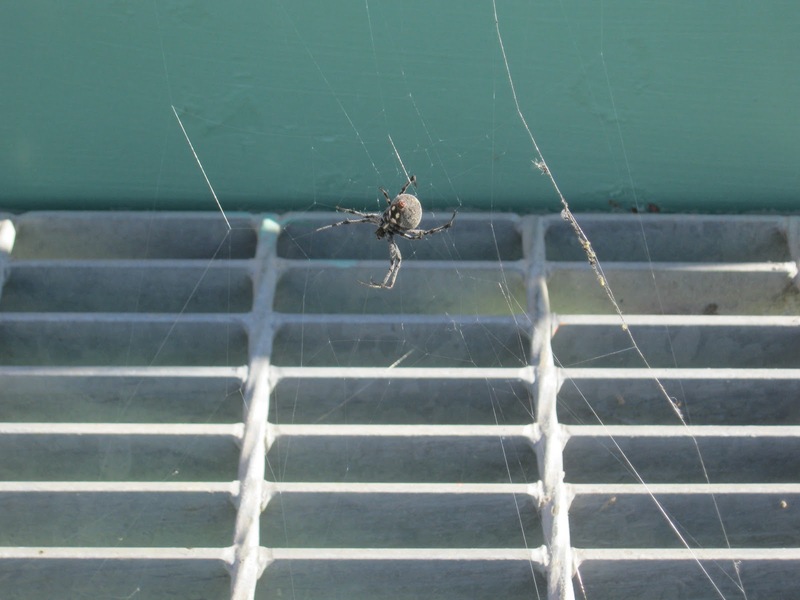 When we got up to the roof in the early morning, we saw this giant arachnid monstrosity waiting at the top of the stairs. We both shuddered with the heebie-jeebies and stepped around the crazy spider. But then we took a look around the roof, and were amazed to see that it was covered in shimmering, dew-laden spiderwebs. 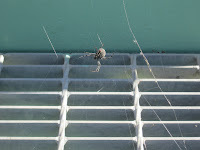 I tried to think of it as a scene right out of Charlotte's Web, but instead I was having flashbacks to Arachnophobia. Here's another view of my arch-nemesis. 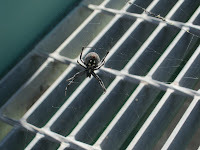 It was not a Black Widow or a Brown Recluse, but I kept my distance. I have tentatively identified it as an Orb-Weaver Spider, which is apparently a (and I shudder to write this) friendly spider. It rarely bites and is a pretty chill spider. Makes fancy webs and such. G-d must have thought it funny to give these spiders such scary markings and then have them be Mostly Harmless. But there were spiders everywhere. Co-worker and I guessed that the rain brought them out, but we had no idea they could spin webs that fast. 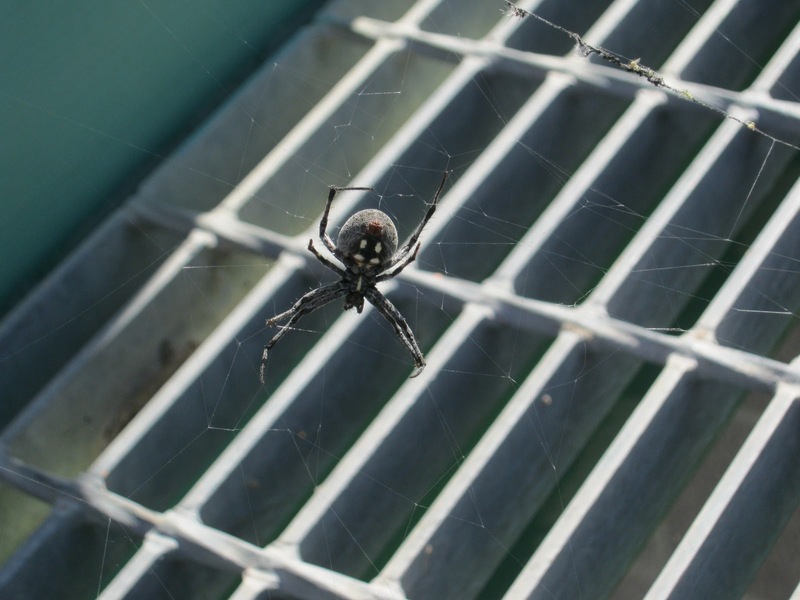 Every girder, pipe, and railing had webs spun to it with spiders soaking in the early morning sun. It made for an exciting morning of asbestos sampling, since we didn't know that most of the spiders we were encountering were harmless. We kept dodging the rain puddles and trying not to whack our heads on all the overhanging piping, all the while looking for webs to avoid. 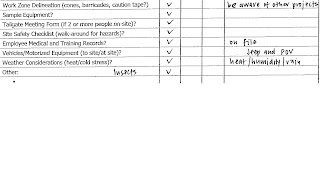 Just for the amusement factor, I took a snapshot of the Health and Safety Plan (HASP) we filled out in the morning before starting work. "Insects" is an understatment. I tried to find the one where I wrote "ZOMG giant spiders" but I think I re-wrote it to make it look a tad more professional. :)?